This entry was posted on January 15, 2013 by Jo L.
If your wood flooring is looking a little tired after the festive break, the following tips will soon have your floor looking like new. It is important to know what your floor has been sealed with prior to renovation as the techniques applied to oiled and lacquered floors are quite different. Sweep the floor thoroughly or hoover using the upholstery attachment on your vacuum cleaner. Wash the floor using Osmo Wash and Care and the thick microfibre cloth supplied with the Osmo Opti-Set Mop, then allow to dry completely. Starting in the far corner of the room pool a small amount of hardwax oil onto the floor. 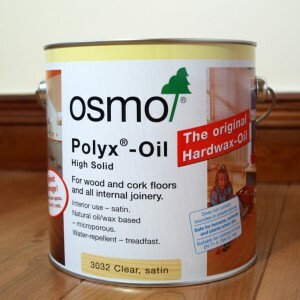 Using the Osmo Flooring Brush, apply the oil thinly into the boards working firstly along the grain, secondly across the grain, and lastly brushing along the grain. As you are working keep checking that there is no surplus oil on the boards and brush well in if there is. Work towards the exit of the room and, when finished, allow the hardwax oil to fully dry. The oil will take approximately 10-14 hours to dry (note: this time can be extended if conditions are particularly cold and/or damp). Always ensure that the finish is fully dry before walking on the floor. It will take about a week for the hardwax oil to fully harden and cure. Treat the floor gently during this time, remove shoes and, if returning furniture to the room, lift and place rather than dragging across the floor’s surface. For regular cleaning use Osmo Wash and Care which is a mild detergent that will feed oil back into the floor as it cleans, never use harsh cleaning detergents which will strip the oil from your floor. To fully renovate a lacquered wood floor you would need to sand the floor back to the bare wood before applying the lacquer finish. As an interim measure, Bona Freshen Up is a ready to use waterborne polyurethane maintenance top coating for most lacquered wooden floors (Important Note: Do not use over any floor that has been waxed or oiled - wax and oil residues will prevent the proper adhesion of Freshen Up to the floor). It will revive a scratched and dull surface in addition to providing continued protection against wear. Always test floors for appearance and adhesion in an inconspicuous area before use. Remove loose dirt and grit from your floor as detailed above, then clean floor thoroughly with Bona Cleaner. Repeat to ensure that dirt is not trapped in the coating. Make sure the floor is completely dry before applying Bona Freshen Up. Rock container back and forth several times before opening. Apply Freshen Up with the Bona Microfibre applicator pad. Prepare the applicator pad by slightly dampening it with water. Apply Freshen Up in a 3-4 cm wide wavy line on the floor. Work on a small section at a time, about 3m2 . Spread Freshen Up over the entire small section making sure all wood is covered. Freshen Up should be applied at 30-50m2 per litre. For best results, apply a thin consistent coat and keep airborne dust and airflow to a minimum while floor is wet. Smooth out Freshen Up, going with the grain of the wood. Continue the process until the entire floor is coated. Allow to dry for a minimum of 2 hours before walking on coated floors. If needed, a second coat may be applied after this time. Always coat the entire floor to ensure an even appearance and sheen. Avoid heavy traffic and replacement of furniture and rugs for 24 hours after the final coat. Clean tools with soap and water. Wet cleaning of the floor may be resumed after one week. For regular cleaning use Bona Cleaner. Do not use strongly alkaline cleaning agents as they may damage the floor. It is always a good idea to seek guidance before attempting any DIY task. 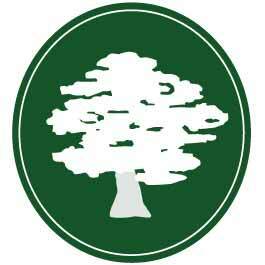 Our wood flooring specialists can offer comprehensive advice on all the techniques described. Call 01535 637755 if you require further information or follow the link to download our free Hardwood Floor Fitting and Maintenance Guide.